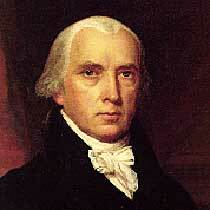 James Madison of Virginia was elected president of the United States in eighteen hundred and eight. He followed Thomas Jefferson and served two terms. Madison's first four years were not easy. He had to deal with a foreign policy problem that Jefferson was not able to solve: increasingly tense relations with Britain. His second four years were worse. There was war. Larry West and Leo Scully have our story. Like the first three American presidents, Madison had a small cabinet. There would be a secretary of state and a secretary of the treasury. Madison decided to keep Albert Gallatin in the position of treasury secretary. Gallatin probably knew more about the nation's finances than anyone else. The choice for secretary of state was political. Madison named Robert Smith, the brother of a senator. The new president was not too concerned about Mister Smith's abilities, because he planned to make foreign policy himself. Madison returned to Washington in the autumn, about a month after the new British minister arrived. He learned that Secretary of State Smith had made no progress in talks with him. So the president decided to deal with him directly. He wanted to know exactly why Britain had rejected the agreement. Madison ordered that all communications between the two sides be written. There would be no more talks. Letters were exchanged. But the British minister failed to explain satisfactorily what had happened. And his letters seemed to charge that the United States had not negotiated honestly. Madison finally broke off all communications, and the British minister left Washington. America's policy of trade with Britain and France continued to be a serious issue. In the early days of eighteen ten, Congress began to consider a new law to control such trade. After several weeks of debate, the two houses of Congress approved a compromise bill. 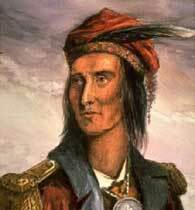 Throughout the west, many Americans believed that the British in Canada were responsible for Tecumseh's efforts to unite the Indians. They demanded war with Britain to destroy the power of the tribes. 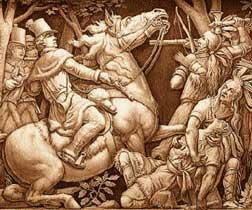 Detail of ''Death of Tecumseh'' located in the U.S. Capitol. Tecumseh is shown at lower right being shot during the War of 1812. In Washington, a new Congress was meeting. Some of the new members were very different from the men who had controlled Congress before. They were less willing to compromise -- and more willing to go to war to defend America's interests. They soon got the name "War Hawks." The new Congress quickly approved several measures to prepare the United States for war. One bill increased the size of the army by twenty-five thousand regular soldiers and fifty thousand volunteers. What the United States did not have at that troubled time was a representative in Britain. When Madison broke off communications with British minister Jackson in Washington, Jackson returned to London. And the American minister in London, William Pinkney, sailed home. Our program was written by Frank Beardsley. The narrators were Larry West and Leo Scully. Join us again next week for THE MAKING OF A NATION – an American history series in VOA Special English. James Madison was elected as the president in the nation. He tried to deal with the foreigh police. The most issue was that the United States had traded with Britain and France. But the realtion of the U.S with Britain were moving closer to war. James Madison was elected as the fourth President, but his first four years were not easy and the second four years were worse. The relations between United States and British hit a low point . War was approaching near.